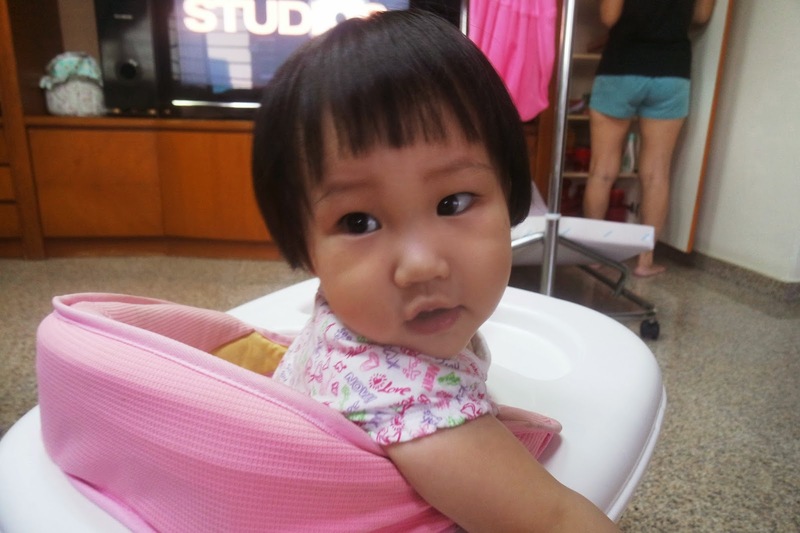 Took Little A out fo' her 1st year haircut with my MIL just a couple of days before her birthday celebration. This time she was a little fidgety, though. 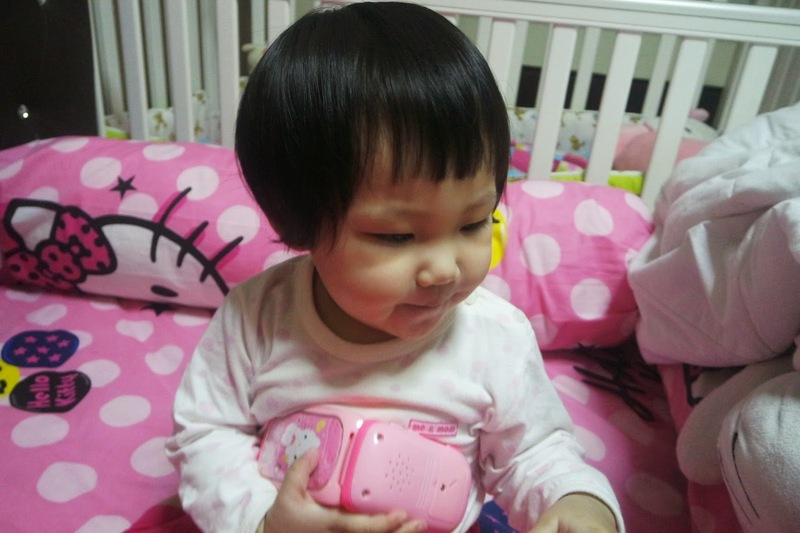 As usual, I requested for her to have a "Mushroom" haircut. 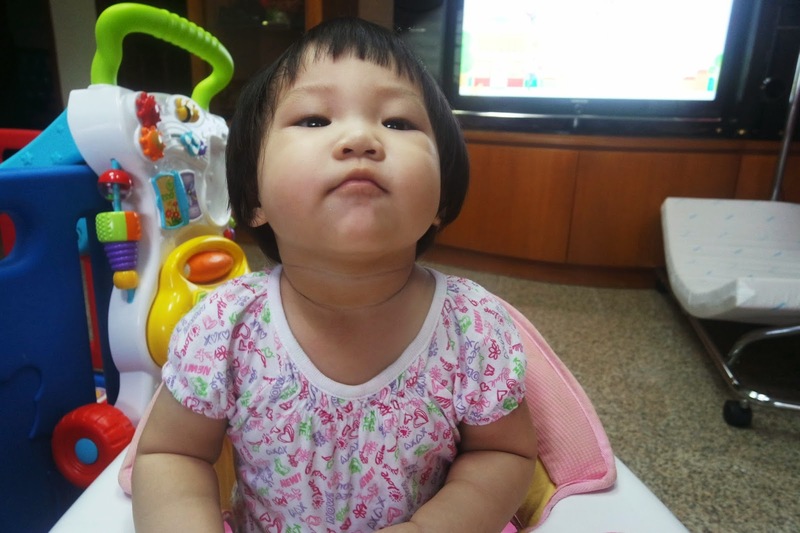 Haha, no idea why but I love that haircut on babies so much! Here's a video of her during her haircut and she is totally oblivious to whatever is happening to her. Bebe, why are you so blur??? Lol. How do y'all find it?!? Bwahahaha!!! 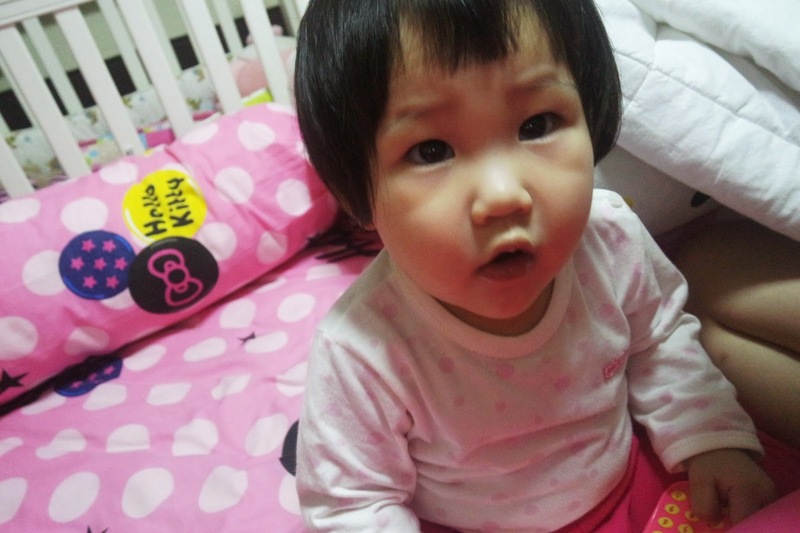 Sorry fo' makin' you look lika mushroom again my baby.